LHC worked with URS, Alder King and WWA to prepare a masterplan and a successful outline planning application for the creation of a Marine Industries Production Campus at South Yard, Devonport. 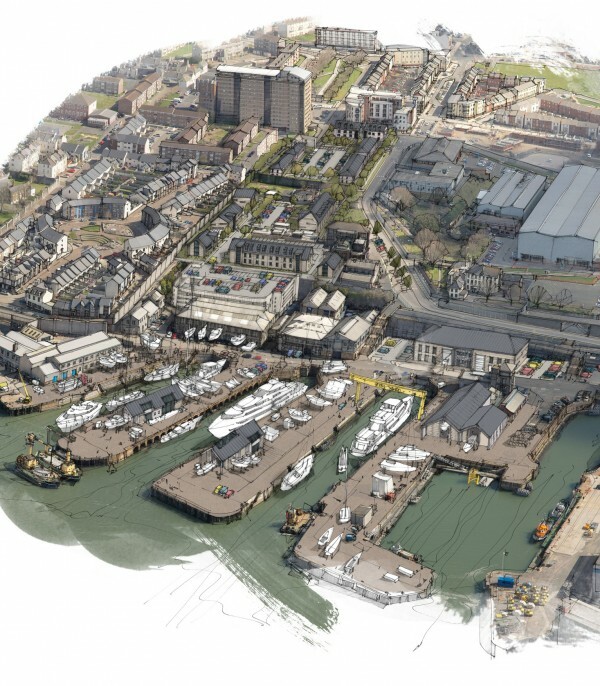 The regeneration project, which is part of the Plymouth and South West Peninsula City Deal, is set to create 1,200 jobs in the maritime sector, secure the refurbishment of existing listed buildings, and provide careful provision for the site’s docks. The creation of over 25,000 m2 of new commercial floorspace, Oceansgate, is well underway with Phase One open for business and Phase Two about to get underway. LHC were commissioned to prepare a masterplan for the transformation of this highly sensitive historic site, one of the oldest naval dockyards in the world, into a Marine Industries Production Campus with unique access to deep water berths with access to the Tamar Estuary and English Channel. 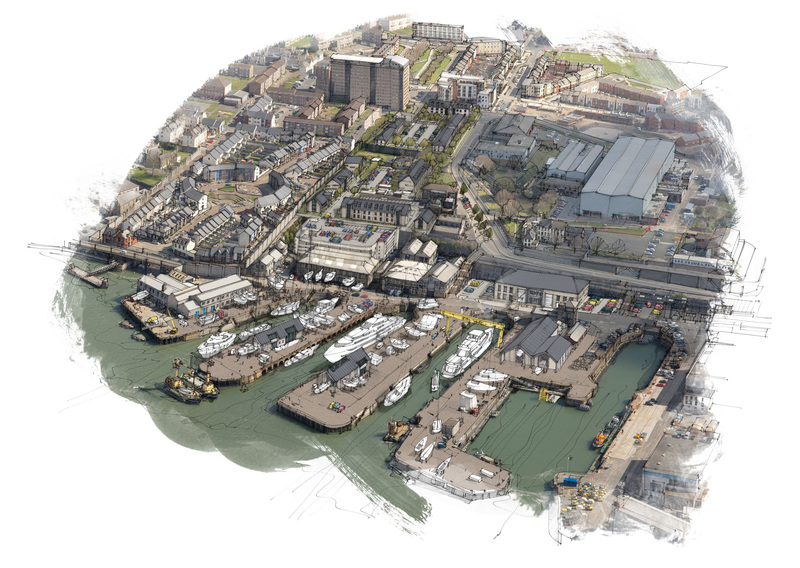 The regeneration project, which is part of the Plymouth and South West Peninsula City Deal, will create 1,200 jobs in the maritime sector, secure the refurbishment of existing listed buildings, with careful provision for the site’s docks, and create over 25,000 m2 of commercial floorspace adjacent to the Tamar Estuary. Working with a wider consultancy team including Alder King (who provided commercial property and planning advice) LHC worked with the MOD, Plymouth City Council and stakeholders (including Historic England and the HCA) to produce a masterplan for employment use of the site, which would then be transferred from MOD to City Council control. The project also required consultation with the local community, including a large residential population living in close proximity to the proposed employment site. 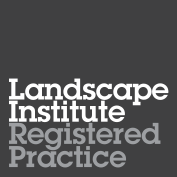 Working to a tight timescale (to meet government funding deadlines) we undertook a challenging programme to work with stakeholders and the MOD to resolve constraints (including access issues and a large number of Listed Buildings and Structures), develop a viable masterplan and secure Outline Planning Consent. 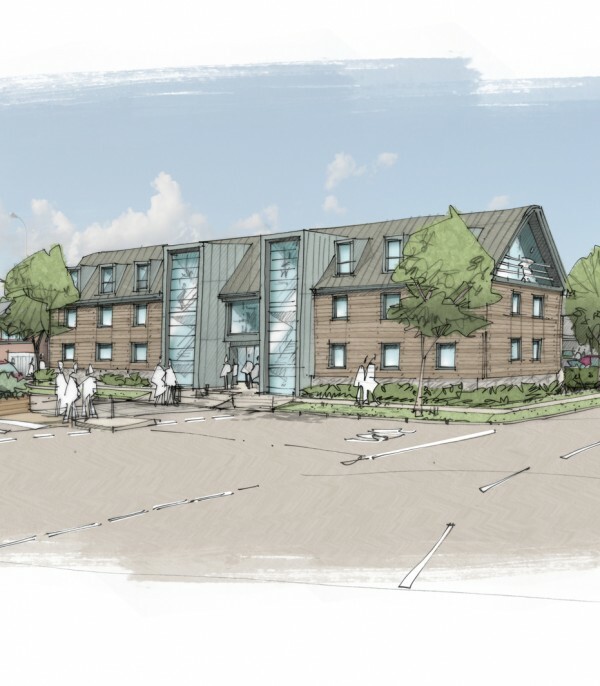 LHC continued to work with Plymouth City to deliver a Design Code to guide future development of the site, and with Midas Construction to deliver the first employment buildings. 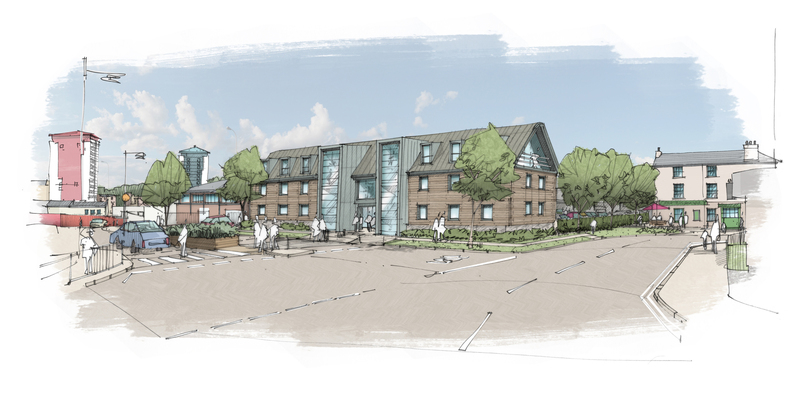 Phase One – Oceansgate – was delivered on site in 2018, and Phase Two is about to get underway.